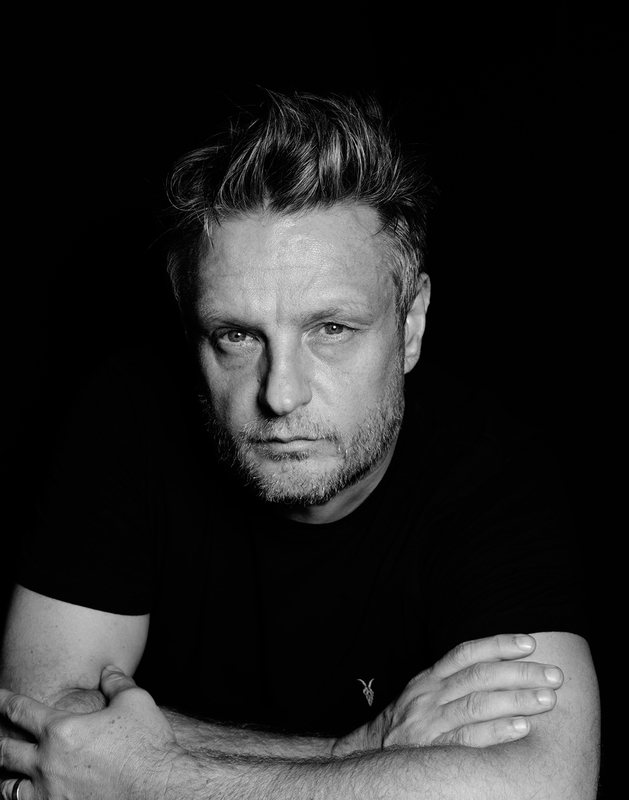 Even if you don’t recognise Rankin by name or appearance, it’s inevitable that you will know his work. The prolific image maker is responsible for creating some of the most significant portraiture, publications and campaigns of the last two decades, beginning with his work as the co-founder of Dazed & Confused and AnOther with Jefferson Hack (in 1992 and 2001 respectively) and continuing today through his role as the founder and publisher of The Hunger, a biannual style title with a typically voracious appetite for all facets of contemporary fashion. In the interim years, it’s not unreasonable to say Rankin (born John Rankin Wadell to working class parents in the Scottish town of Paisley) has shot a veritable universe of icons across the diverse spectrum of culture, from politics and power (Mikhail Gorbachev and Queen Elizabeth II) to film, music and sport (you name it). Rankin has also since expanded his namesake studio to encompass film production, representation and full creative services arms, in addition to creating a large enough body of work to fill a further 30 plus tomes dedicated to preserving his exhaustive creative output, which is characterised as much by a sense of innate surrealism and subversive fantasy as it is by honesty, intimacy, and the unmistakable connection that exists between the photographer and his subjects. In anticipation of his new exhibition Outside In, launching tomorrow to coincide with Milan Fashion Week and taking place en plein air on Via Montenapoleone, the city’s veritable epicentre of luxury fashion, Rankin reflects with GRAZIA on his love of photography, the challenges it faces and the challenges he has presented in return. When did you first fall in love with, and realise the power of, photography? I had my photograph taken when I was 17 by a hairdresser who did a really crazy hair cut on me, I just liked the idea of the glamour at that point. Then I started studying accountancy at college and just happened to be in a hall of residence with loads of art students. What they were doing seemed a lot more interesting than crunching numbers. The minute I picked up a camera and started taking photographs, I just knew it was something I could do. So I dropped out of accountancy and went back to college for three years, studying photography. You could say those art students saved me. And Can you remember the first significant photograph that you took? One of my first self-portraits was in the back of my garden. I had to persuade all my family to come into this image. My dad’s not even wearing shoes in it and I’m of course naked with a magazine stuck to me and a Jean Paul Sartre book, it’s so pretentious and student-y. I guess it was about how I saw myself at the time. I wasn’t embarrassed about anything. The camera in it is my first camera I think, a Ricoh, which I think I got for my 21st birthday. Your work has been the subject of countless exhibitions, retrospectives and books over the past decades. In what ways is Outside In different from your previous shows? I never want to repeat myself. I’m constantly looking forward for the next idea, something new, something I’ve not seen or tried before. Via Montenapoleone is like the temple for brands and designers, so I wanted the show to be a celebration of fashion, but also have a little visual fun with what you’re looking at. I think the box makes each thing or person equal within it and it’s a little like ‘collecting’ the subjects in each box. Showing them to the world as collected. Then when they’re on show, they are about two meters high so the scale of each box messes with your head a little. Also they are a world within a world, which is really only as deep as the box you think you’re looking into. It’s fun! Almost like a game. The most important thing for me was to have it outside in the open air. No ticket prices and no queues. I didn’t want it being cut off from the world, which can so often stop people experiencing artwork. It’s there, for everyone to access, 24-hours a day. From shoppers and tourists during the day to party people at night, to the stragglers at dawn – it’s purely subjective. You’ve always championed the unconventional through your portraiture. In your experience, how have you seen definitions of ‘beauty’ change throughout the course of your career? It’s nothing new that beauty is subjective. Throughout my career I’ve tried to question perceptions of it, breaking down conventions. I think there will always be the gloss because for some people that’s aspirational. I’d think that the general public and consumers nowadays are much wiser about retouching and what’s honest these days. They don’t like to feel tricked. There is still a lack of diversity in modelling, but it is getting better; more and more you see plus size models, older, more eccentric models, which is great. It’s how it should be. As someone who has worked in many facets of several diverse, dynamic and creative fields from publishing and photography to campaign as well as film and television production, what do you consider to be the biggest challenge you face in your field? The world is saturated with content now, it’s kind of unbelievable. You can take a photo, make a film, publish a blog, run a business all off your phone. It’s amazing but at the same time it has its flaws. Everyone can say something but not everyone has something to say. With all the content there’s a lot of rubbish and you can get distracted by it. People think Pinterest or Tumblrs, as great as they are, are the epicentres of originality and creativity. For me, it’s much more about finding what you’re trying to say and how you’re trying to touch people. The same ideas have been floating around for years but the execution is what’s distinct. Personally I don’t mind all the noise, I’m a firm believer in the cream always rising to the top. Working across so many multi-faceted projects during such a transformative time in the creative industries must be a constantly enlightening experience. What is it that you would still like to learn? I’ll be learning all the way until the moment I die, I’m quite sure of it. It’s impossible to pin down one thing in specific I’d like to know. The best thing about being a photographer is meeting so many new people from all kinds of backgrounds. That’s an infinite resource for me. Outside In opens on Via Montenapoleone, Milan, from September 21 to 27.